You are not buying this theme. 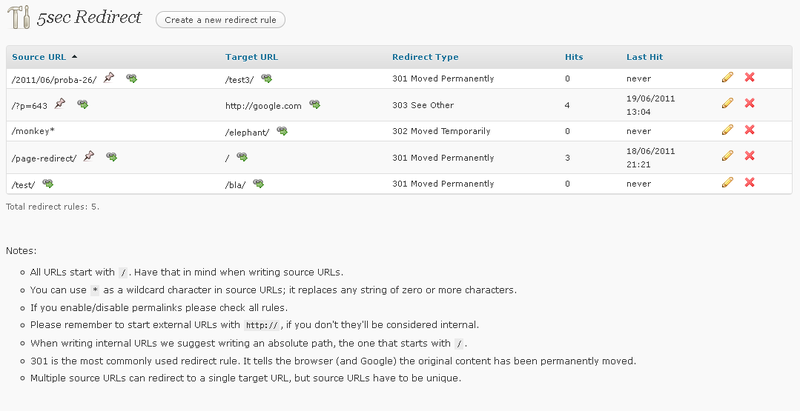 This is only a preview for 5sec Redirect WordPress plugin which functions exactly the same on all themes. Full URL cloaking support! TRY IT OUT (watch the URL). Redirect any post, page, category, tag or custom URL to an internal or external URL. What can I use it for? Do I need this? 5sec Redirect is 100% referral friendly! Use it to create vanity URLs or to cloak/hide your referral URLs. Try this - /fancy-referral-url/ or /url-cloaking-example/. Built-in statistics will help you track clicks!